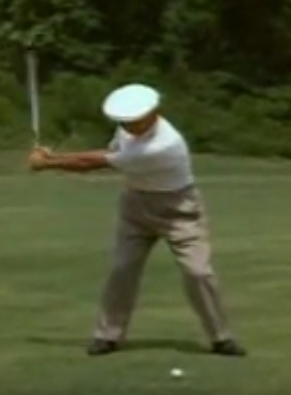 Re: Ben Hogan’s REAL Golf Swing Secret Accidentally Discovered? I get why you’d be a touch skeptical…I really do (trust me, I was dumbfounded too). So dumbfounded in fact that I called up several of my instructor buddies and asked them if they’d ever heard anyone else talk about this “secret move” I mentioned to them. To my shock, not one of them had ever heard, read or seen this mentioned anywhere. Nothing. Not one mention of it. Crazy. But before we get into this “secret,” let me tell you a little bit about how this all happened. My name is Jeff Richmond, and I have over 100,000 golfers that subscribe to my blog. Every Sunday I send out my Consistent Golf Gazette to those 100,000+ golfers. "The Average Tour Player Only Moves His Head 1 Inch During The Swing"
I was highly intrigued by this statement, so I began analyzing hundreds of professional golfer’s swings, completing my research in March of 2015. 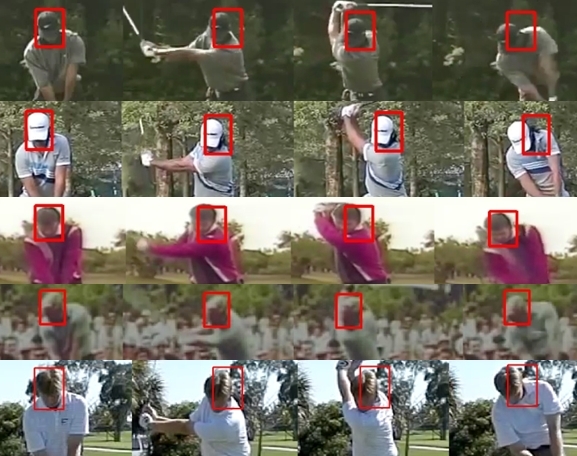 When I did my analysis of Hogan’s swing and compared it to other professional golfers, I noticed a HUGE difference. (If you’re thinking “head movement” is the secret, keep reading. I assure you that Hogan’s head movement is NOT his one real swing secret...more on the secret later). You’ll even hear other players from his era say that as he compressed the ball against the clubface perfectly, it made a completely different sound than everyone else. I never thought Ben Hogan had some “magic secret” that would work for every golfer. I figured, just like any other great player, he learned what worked well for him, and through practice and hard work learned how to repeat it. In fact, in a 1955 Life Magazine article. Mr. Hogan said “his” secret probably wouldn’t help the average golfer and would probably actually hurt them. So anytime I have analyzed Ben Hogan's swing over the years, I never looked for a secret, because there wasn’t “supposed” to be one. Nevertheless, I was still very interested in how he hit the golf ball perfectly time, after time, after time...and I had to find the answer. That's also somewhat confirmed, because some time after the 1955 Life Magazine article was published, Ben then entered into talks with Golf Digest to do an article in which he would reveal his true swing secret. But negotiations broke down once the price got into the six figure bracket (and golfer’s have been suffering for 60+ years as a result). "It was in 1950 that he began showing the kind of precision golf that set him apart." As you probably already know, Ben Hogan was involved in a serious car accident in 1949 that nearly cost him his life. After spending months in the hospital, and being told by doctors he would never walk (and certainly never play golf) again, it seemed his career was over. Hogan went on to win 6 of his 9 career majors AFTER his accident, including his famous 3 major season of 1953, which many golf writers and historians call the greatest single season in the history of golf. The interesting part? Hogan said his secret was easy to spot if you knew where to look…and indeed I can verify it is! Once I discovered this strange move I had to try it. When I did it felt quite odd I must admit. But the more I did it the more sense it made. So I practiced the secret move for a good week before I played another game of golf. When I did play I put the secret move into practice and hit 14 greens in regulation! The previous game I played I only hit 10 greens in regulation which was my average, so I was very happy with the improvement. But one game doesn’t mean much. After 8 months of using this one move I was hitting the ball way better than I ever had. My handicap dropped from 1 to a +1 handicap thanks to averaging 12 greens in regulation. Now I’m on a +2 handicap and average 13 greens in regulation. And that’s using this one move and playing about once every 1-2 weeks. Since discovering this one move I have performed it thousands of times. It’s quite an addictive move for some reason, and I still do this move every day, because I enjoy doing it. The great thing about this secret move is you don’t need to actually swing to practice it. You can practice it anywhere, at anytime. Plus, it’s so simple you can learn it in 5 minutes. But I do have to warn you however, it will no doubt feel completely foreign to you, as it’s a move you would have never done before in your golf swing. But that’s exciting, because that means this one move is going to help you for once to hit the ball properly and control where the ball goes. Jeff, everything you've said is true! I’ve already implemented this move into my routine and the results have been outstanding. Just thinking about the one move has created bullet straight shots with the irons and driver. This is a real confidence builder, but the only drawback is adjusting for the added distance picked up with each club. And no more fat shots. I’m (69) yrs. old, with a GHIN handicap of (16), and I’ve been playing since my college days. In my young years, I played to an (8) handicap, but was too wild with the driver. On Wednesday, I was low net in our morning group of eight players with a gross of (40) for nine holes and a net of (32). (5) pars and (4) bogeys with no fairways missed. I hope to get back to single digits by the time the summer season rolls around. Hope you like the feedback. Hi Jeff, day one and the news is good. I was thinking you would have to wait for 3 months for feedback but read your pdf last night and went on the course today, weather bad, tailend of storm Barney....playing into huge westerly wind for holes 5 to nine. Not sure I was doing the move as well as I should, but I was clipping the ball. I can't have your method down properly yet but my ball which is usually high and a bit weak was zipping even into storm force winds. Update: Because the course was quiet yesterday (as its getting dark early here, the 18 holers are finished by lunchtime) I was able to hit two balls and I was amazed when I walked up to them they were right together. I found that the Hogan move was speeding up my swing -probably though better weight transfer-and I was delighted! On one hole, a long par 5 uphill dogleg, into a storm force wind, I had a net birdie. In bad conditions, I had 19 stable ford points for 9 holes. It has only been 5 days since starting this swing but i have to email you some early results. Immediately after my order i started implementing “the move”. It felt odd! I perservered and it started to feel more natural the more i did it. My first game after learning about the move was today. Excuse me if I seem a little enthusiastic but i have to report that today I shot 80. For a lot of golfers that may not be a big deal but for me, a 90 shooter it’s HUGE!!!! That is my lowest score ever! Of course I can look back and say I could have broken 80 but I am very, very happy with my 80. My playing partners could not believe how I was hitting the ball and to be honest, neither could i! Hitting the ball properly like I did today is the best feeling I have ever had in the game. I wish to thank you very, very much for bringing this information to the public! I purchased the stress free golf swing on a whim and didn’t expect much. To be honest, I have been let down so many times in the past when I have purchased golf improvement products that I simply have lost hope. That was until now! It’s only been a couple of weeks since I have this new swing and the good results were virtually instant. My over the top move is gone. My big, deep divots are gone. My slice is gone. My wild inconsistency is gone. Sure I still hit some poor shots but everyone does. The thing is my bad shots are not nearly as bad as they used to be. I have only played twice since purchasing this and I had 78 and 82. My games before that were 88 and 89 and that’s my “normal”. If I’m honest, I can’t believe the difference. I know it’s early day’s but I just had to let you know. This is the best investment I’ve ever made in my golf game. Thanks mate for letting me be one of the first to try it. This one move has totally transformed my ball striking. I was a very inconsistent ball striker before this move but now my ball striking has improved dramatically. As a result my handicap has come down by 3 points and I'm enjoying golf so much more now. Since getting and using The Stress-Free Golf Swing I am more accurate with all shots (as long as I trust the "move"). I am more confident and as a result more relaxed and I am focusing on keeping my head back through impact (a "biggie" for me). I have gone from mid to low eighties to low eighties to mid seventies because my ball striking is more consistent. I am more laid back and relaxed on the course. I am now looking forward to hitting my next shot. The Stress Free golf swing means I am no longer coming over the top; instead I am not only behind the ball but I remain there until the ball is long gone (head back). The stress-free golf swing gives me the feeling I have is one of staying over (on top) of the ball as I swing back. I no longer feel as though my upper body (head included) is going back on the backswing. It felt unnatural at first, but the results speak for themselves. Now I no longer let my upper body drift toward the target; instead, I remain back (head position) while the swing unwinds. No more drifting. And I am consistently longer off the tee with fewer "sprays." Jeff, The biggest benefit is the extra distance from a nice draw. My contact is now solid and my confidence is higher as I have an easier shot (most times) into the green. I have better scoring now – handicap going down – slowly but surely. I am more consistent – less double bogeys more birdies & pars. I was coming over the top & generating a weak slice. Now my swing is on the correct plane. 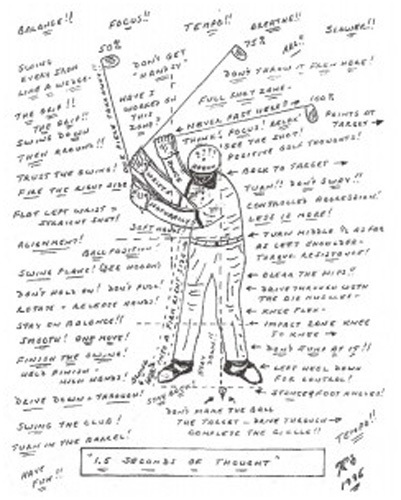 I like the simplicity – KISS principle – don’t make the golf swing complicated. This has a good explanation & good easy to understand instructions. Jeff is a very knowledgeable golf instructor who likes to share his knowledge at a reasonable price. We are all looking for the “Holy Grail” of golf. I am a big fan of Ben Hogan’s I can now see where he develops his speed & ball striking prowess due to a very subtle move. Since getting and using The Stress-Free Golf Swing I have more consistency with my Irons & Hybrids, less stress on my body when swinging and better scores! Before I implemented it I was shooting 85-90 and now hitting rounds of 79-84. I am being more consistent with iron play on approach shots. I am feeling more confident in my swing as I can concentrate on the simple moves. My lack of consistency was killing my confidence, scoring ability & game – this has changed it! It is simple to use & is effective after a small 2-3 week change – it takes a while to commit to the swing thoughts but when it goes right, it’s magic!! I used to hang back on my right foot and this caused fats/thins and general inconsistency on all shots – I feel more confident that I am aiming at my target & I just let the process take the ball there – it’s stress free indeed!!! Your program was easy to follow & the pictures were of a great help – I am a visual learner so the pictures of the positions on where I should be was great to copy. Overall my game has improved & I am enjoying my golf more now!! Since The Stress-Free Golf Swing I am now consistently making solid contact with the ball. I am hitting the ball farther. This has simplified the transfer of weight on downswing. Not thinking of timing the weight transfer on the downswing. Besides the hitting the ball more solid , I find that my “misses” are not as bad. I think I am 3 to 4 shots better since the swing change. The fear of hitting a big hook off the tee is gone. I do not have a lot of practice time on the course or range .. I was able to make this swing change by hitting into a net in the back yard which really helped me incorporate it quickly. I like the idea trying to keep the golf swing simple and I think Jeff’s tips and instruction do that. After getting and using The Stress-Free Golf Swing I am more consistent, have better ball striking and more distance. Now thanks to The Stress-Free Golf Swing I have had a 5 stroke improvement over the last month. The one big problem this eliminated for me was over swinging and now I’m much more consistent! It's simple. This isn't some physics concept that takes an advanced mathematics degree to learn.. it's easy to learn whether you're 8 or 80. .
One Swing Thought. You'll "free your mind" and play with more confidence and enjoyment with one simple thought. You can learn it FAST and practice it anywhere. Ever had a lesson, and the pro tells you that you need to "hit the range hard" for the next 3 weeks? Not here. You'll have a repeatable golf swing... finally. If this one secret move resurrected Ben Hogan's career, don't you think it can help you? Short game, short game, short game…it’s the key to lower scores right? Well…not exactly. Look, there’s no doubt that a solid short game will save you some shots, but there’s a reason you don’t see any poor ball strikers on the PGA Tour. 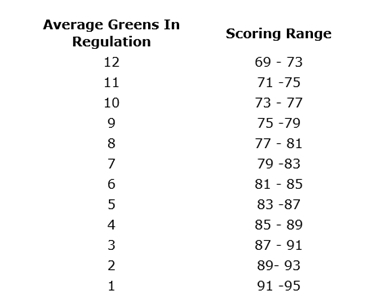 There is a strong correlation between greens in regulation and scoring average, and for 97% of golfers the quickest way to lower scores is to improve your ball striking and hit more greens. It’s simple, straight forward data…and it doesn’t lie. It’s simple really…he enjoyed it. Don’t we all tend to enjoy things that we do well? Mr. Hogan is no exception. If you hit the ball perfectly every single time, wouldn’t you want to play and practice more? I thought so. And the times when you’re in control of your golf ball makes golf so much fun doesn’t it? Start Your No Risk 60-day trial NOW! Yes! 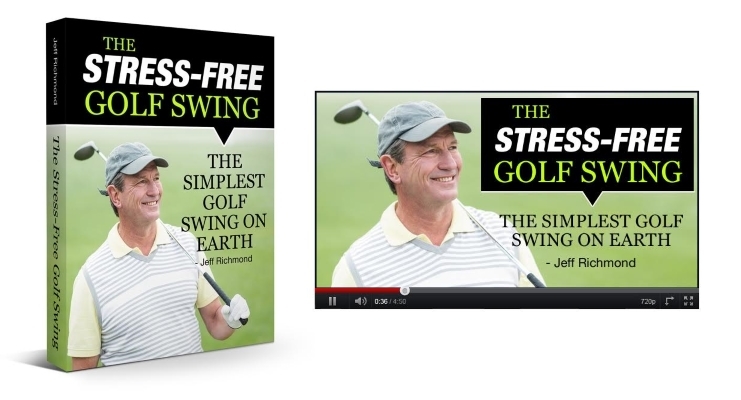 I want to get The Stress-Free Golf Swing To Quickly And Easily Improve My Ball Striking For Just $97 $47. Put This One Secret Move To The Test Now! Hitting your driver right on the screws and flushing your irons right at the flag. Thinking clearly and playing golf instead of playing "golf swing". Gaining confidence and the ability to shape shots and hit the exact shot called for on demand. So let me ask you a question…what’s holding you back? Lack of Golf Swing Focus: Most average golfers go from one idea to another. Often golfers will think they have found something that will help, only to have a bad round at some point and then they are on to something else. Complicated Golf Swing: Most golfers make the golf swing way too complicated. This causes confusion, paralysis by analysis, and thinking their way through the golf swing, which, naturally, is never a good thing. Confused About Advice: Today we are in an age where there is information overload. There is so much information about the golf swing it's easy to get confused about what we should do to improve. Look I get it…maybe this sounds “too good to be true.” I’ll admit when I first discovered it, I certainly thought it was. But we’re not talking about theory or fluff here. We’re talking about the secret move of one of the most consistent ball strikers to ever play the game. Maybe you’re still on the fence. I don’t know the state of your current game, but I’d wager my house (if I was a betting man) that you don’t hit the ball as purely and consistently as you know you can. So let me make you an offer that will knock your socks off. You can get access to Hogan’s secret move for just $47…likely less than the cost of your next round of golf, food and drinks. Quite frankly, I think this material is worth wayyy more than $47, but it’s currently on special for a limited time so that everyone, from a beginner on a shoestring budget to an experienced amateur (or even professional), can get it. Oh and one more thing…it comes with a 60 day, no questions asked, iron-clad money back guarantee. You simply can’t lose. So go ahead and click the button below. You’ll immediately be taken to our secure payment processor where you can get Hogan’s secret move for a one-time payment of just $47. P.S. This offer to try the brand new Stress-Free Golf Swing for just $97 $47 is on the table for right now. If you come back tomorrow the price could be a lot higher. So get this while you can for just $47 and remember that your purchase is backed up by my 60 day money back guarantee. I just ask that you give this a good go for at least 30 days. Because it does take time to change a habit and this one move is probably completely different to anything you've done in the past. 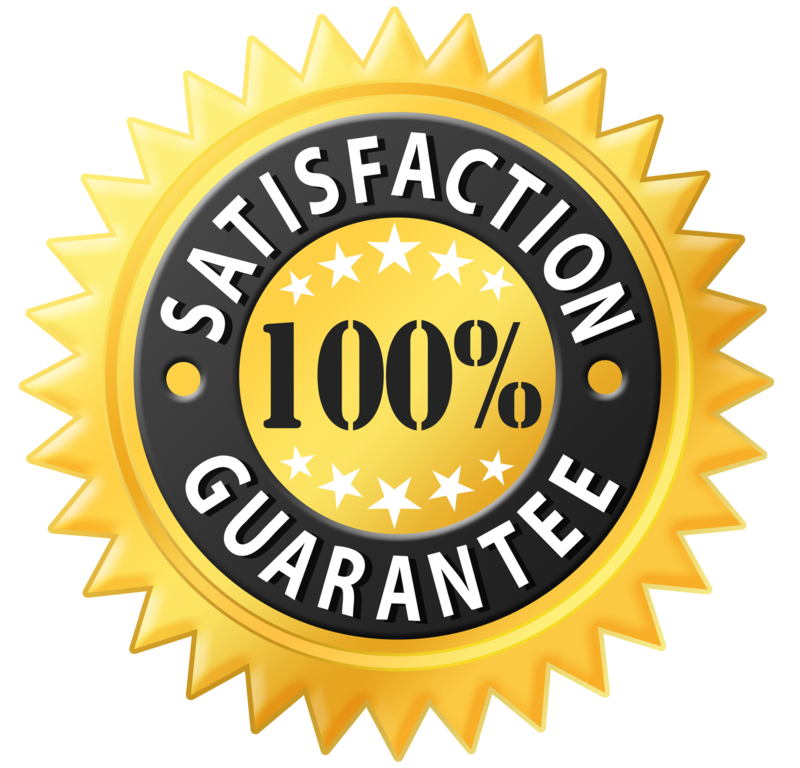 You are fully protected by my 100% Satisfaction-Guarantee. 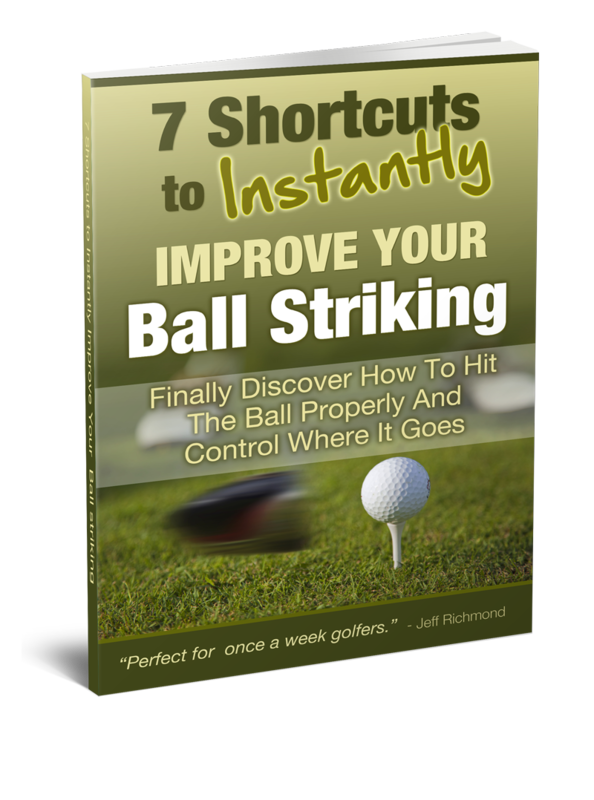 If you don't improve your ball striking within 30 days of using this one secret move then you can ask for your money back and you will get it back with no hassles. I just ask you give this a good old college try. And understand you're backed up with a 60 day refund period.